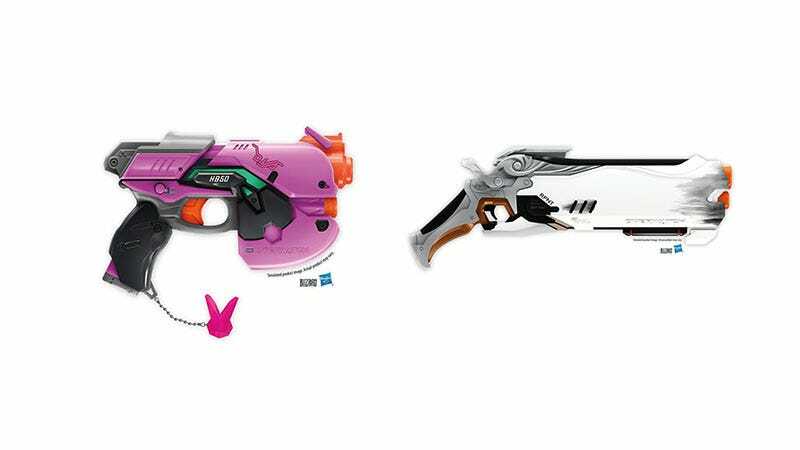 Blizzard and Nerf are going to release a couple of guns based on Overwatch, one being Reaper’s shotgun, the other D.Va’s pistol. They’re part of Nerf’s “Rivals” line, which is basically a series of guns made and marketed specifically at adults, and which fire small round projectiles (like squishy musketballs) instead of the traditional Nerf bullets. Reaper’s shotgun will hold eight rounds and fire them at 90 feet per second, while D.Va’s will hold three and shoot at 80 feet per second. Given D.Va’s catchphrase literally includes the word “nerf”, it’s insane it’s taken both companies this long to get something like this out there. Both will be out next year, but there’s no word on price.